There are currently 3,527 users on this website. Victoria in 1855, and was issued to pay the excess rate of 6d. charged on late letters. 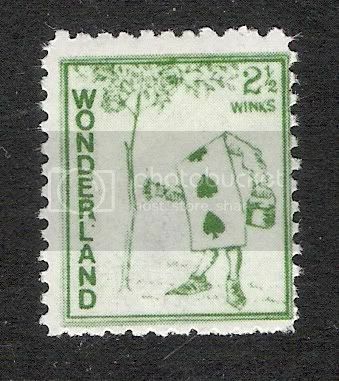 printed in lilac, with the addtion of the words "Too late" and "Sixpence" printed in green. 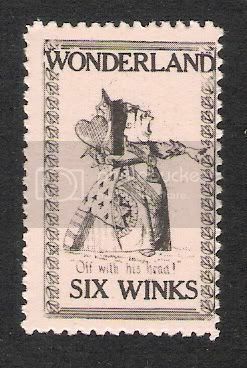 It is a scarce stamp, and at present is catalogued at �4/10/-. are:�1903, 5c. ; 1904, 2|c. ; 1916, Ic. Note: this is not to be confused with "Too late" as an auxilliary marking (rubber stamp) on cover. This would suggest the cover was too late for inclusion in certain mails. Republic of Panama has also issued too late stamps, inscribed "Retardo." oh I get it now, when people call me that it is because I am LATE. I am only half way through my first flat black. all my friends funerals, otherwise they won't turn up for mine. Looks like going down this road would cost a few pennies; something to keep an eye out for in Victoria collections. 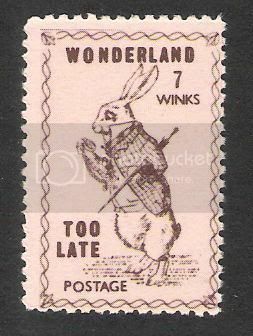 Only one "too late" stamp has been issued in the British Empire. The above stamp was issued too late for inclusion in SG catalogue. All Postal workers of the hare or rabbit variety profoundly apologize for this, and can assure the philatelic public it will not happen again ! The next item is a rather nice Cross-Gutter showing a similar stamp to the one above together with a regular postage issue, An express mail stamp and a Semi-Postal [Health]. 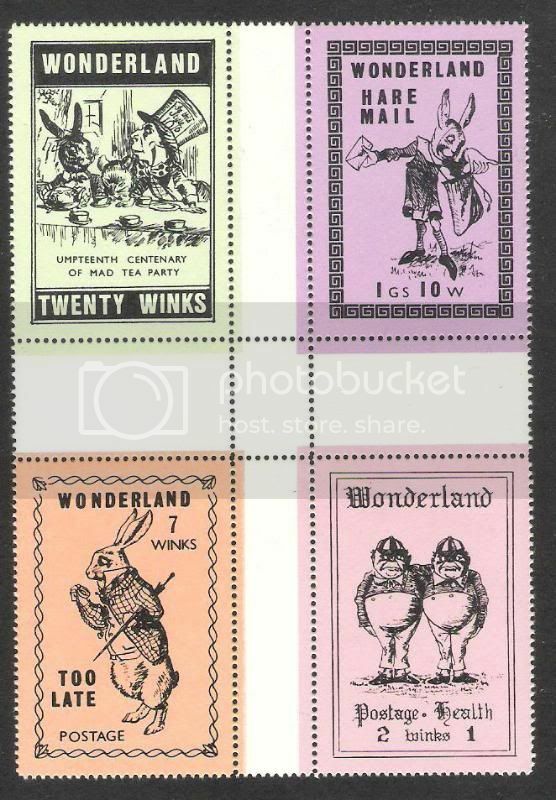 The differences between the too 'two late' stamps [or two 'too late' even] are in the size,colour and shading around the feet. Now you can all wake up and get back to the real world. Londonbus1...it still exists, somewhere ! Too late for the funeral. such stamps--I'm still learning, and the teachers here are great sources. Londonbus, beautiful "Too Late" stamps! How cool they used the Alice in Wonderland theme! How cool they used the Alice in Wonderland theme! In Wonderland, they are not allowed to use anything else. The Queen would chop off their heads ! ...and her orders are always carried out ! ...and when that happens, it's just TOO LATE!! I all of us would not be out of place if our pictures were on the first Colombia stamp shown by the Rodster. G'Day Rod after reading this thread you reminded me of one of the stamps in my Aussie State stamp album,I have one of the orange-yellow imperf with a #1 (That's ((1)) in brackets) cancellation,mind you It's a bit worse for wear and I've had it for years,it has a very heavy cancellation and the colour (Aussie way of spelling color)has faded some what and the margins are closely cropped but still a orange/yellow all the same,Rod could you please tell me what the Scott # is for this stamp is. I am presuming you mean the 6d woodblock.